I was involved in a serious motorcycle accident where I was not at fault. I had multiple serious injuries as a result of the accident. I was solicited by over a dozen attorneys and interviewed several. Then I heard about Mike from a friend who had been in a motorcycle accident and after a brief interview, I knew Mike was my attorney. His attitude and approach are completely different than the others and he even charges less! Yep, Mike charges a lower percentage than the others and he only charges on the non medical part of the judgment or settlement. All the others I interviewed charge their percentage on the whole amount including medical costs. Mikes different approach is to sue first and negotiate later. I like this because I felt it let the insurance company know we meant business and weren't going to be bullied into some low settlement. In the end, we got a settlement that was hundreds of thousands more than I believe any other attorney would have gotten for me. Don't hire a loser who doesn't file lawsuits and will sell you down the river! Mike is the MAN! I have recovered from all my physical injuries and next week my wife and I close escrow on our new home. We are paying all cash thanks to Mike! My name is Jana. 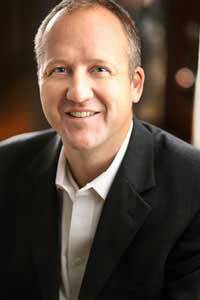 My husband Steve and I would like to recommend that anyone in an auto accident contact Mike. When we were rear-ended I started looking for an injury lawyer. I called a popular (Name Brand) law office. They did not want to take the case since there was no vehicle damage, they said it wasn't worth it, that it would be too hard of a case to win. One day I was online and I decided to check for lawyers in our area. I kept drifting back to Mike. Mike had the foresight to let us know that maybe Steve's shoulder injury would prevent him from returning to work. Long story short it did. Mike took a risk on us and I'm so glad that he did. Country Insurance only wanted to pay $1500.00 for his injuries. Steve had to have the tendons reattached to his shoulder bone. He went through physical therapy for months just to be able to move his arm. He lost his job because of weight restrictions and repetitive motions. We used all our savings (tax return $$) to survive the months up to court. We lost our chance at a Habitat House since we no longer had steady employment. This accident put us through the proverbial wringer. Tension was the only thing we had in abundance. There were times at court that we really weren't sure what was going to happen. Country treated us like we had done something wrong. They were very condescending and insinuated that we were liars. They brought in their specialist with credentials all over the place, their Dr. who said my husband wasn't injured as bad as he was. Mike was short, sweet, and to the point. We only had the surgeon and my husbands ex-boss. After hours of deliberation the jury was in (we didn't think it looked good) . Mike had done it, he was awesome and WE WON!!! We were awarded $130 thousand plus. Once all the third party stuff was paid, and Mike took his percentage we took about $60 thousand home. All our bills are now paid and Steve is going to school to get a better job. Mike really knows his stuff, We highly recommend him to any and every one. Kudos and all the highest praise from us, we are so grateful to Mike. Give him a call – those insurance companies can really bite. 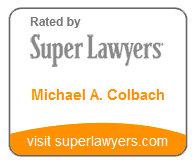 Contact Portland personal injury attorney Michael A. Colbach, Attorney at Law PC for a free consultation.